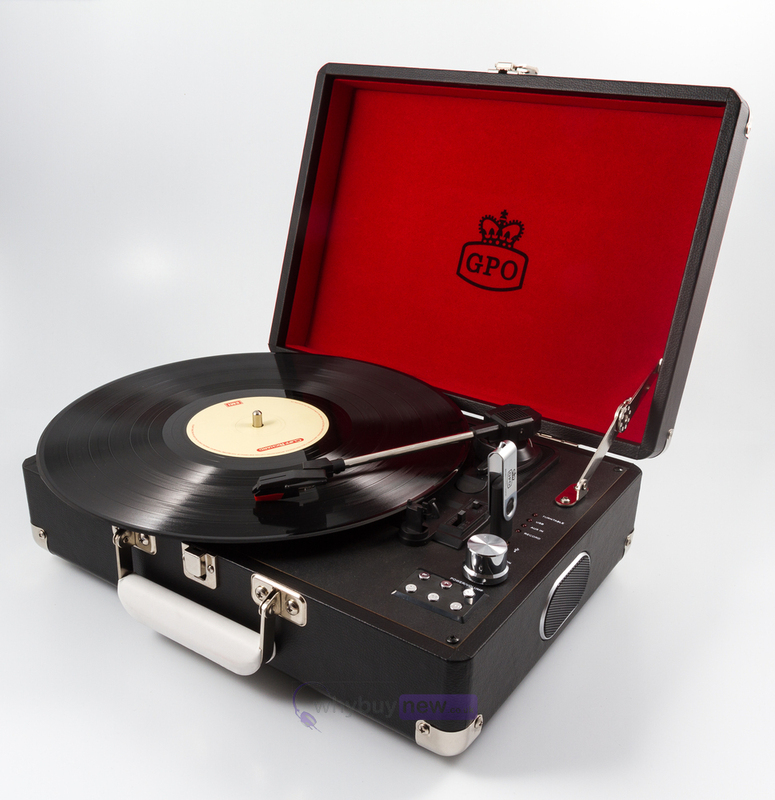 This GPO Attache Case is a portable briefcase record turntable player which makes transporting your record player a breeze! You can now enjoy your vinyl records anywhere and at any time. 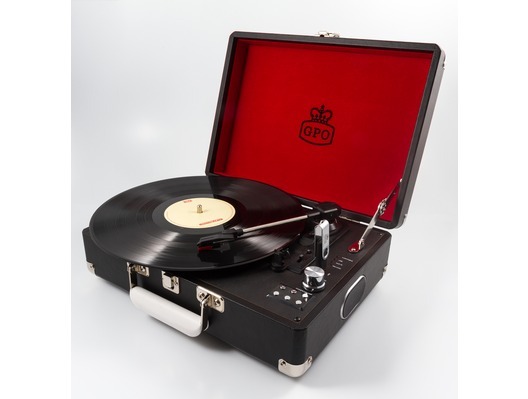 Stylish, lightweight and available in a range of colours, this suitcase record player makes it simple for you to play your vinyl wherever you are. Made of wood and bound in leatherette this briefcase styled record player features built in stereo speakers so you can tune in without needing a speaker system. The attache also comes with a USB stick so you can record your vinyl records on the go as well. 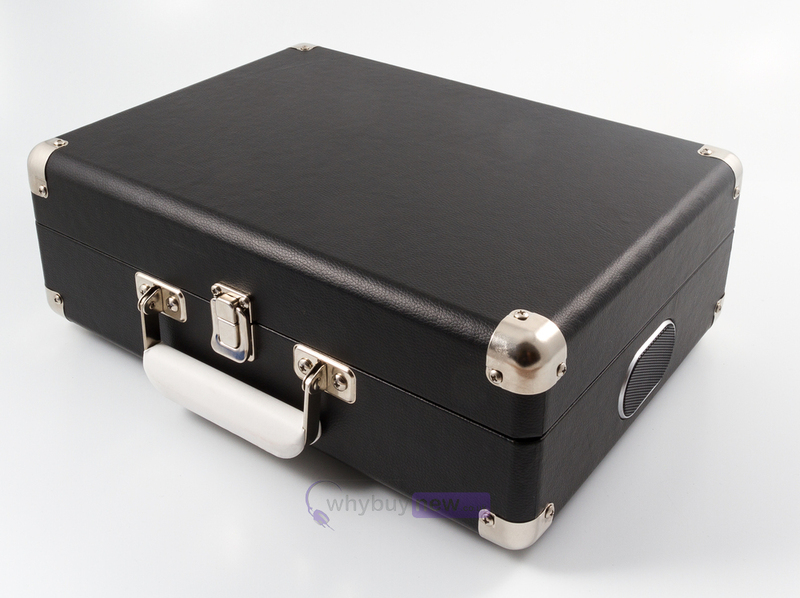 Portable briefcase turntable player, enjoy music anywhere, anytime! Available in Vintage Brown, Pillar-Box Red, Sky Blue, Jet Black and Apple Green.